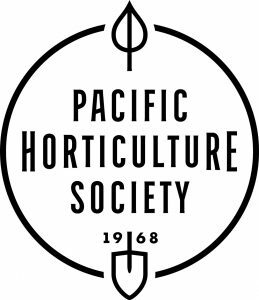 Pacific Horticulture Society, a non-profit 5013c, is seeking an Executive Director to lead our organization through a transition toward financial viability and success in meeting our mission. Since 1968, our mission is to inspire and educate West Coast gardeners. We are a well-respected gardening organization known through our beautiful publication Pacific Horticulture, our engaging online presence here at www.pacifichorticulture.org, our informative events, and enchanting world-wide tours. Working with the Board, Editor, and support staff, the Executive Director will have overall strategic and operational responsibility for PHS staff (except for the Editor), programs, expansion, and execution of its mission. The Search Committee will review all submitted letters of interest received by March 1, 2018. Application deadline extended to March 15, 2018. Download a complete job description here.